We are committed to plantation expansion that does not result in deforestation. As a member of the Roundtable on Sustainable Palm Oil (RSPO) we implement its Principles and Criteria across all our plantations. All NBPOL plantations and associated smallholders are RSPO certified. 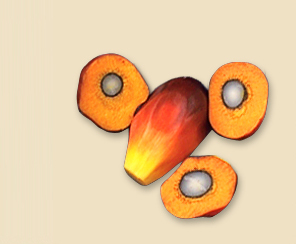 However, to build on these RSPO commitments and to strengthen our commitments to socially and environmentally responsible palm oil production, NBPOL will implement a new approach to address deforestation, protect areas of High Carbon Stock (HCS), respect customary rights and to meet community needs. Towards this NBPOL has become a member of global non-profit organization The Forest Trust (TFT) with an initial focus of assessing and defining HCS forest areas in parallel with assessment of the community’s needs within any of our new concessions. It is important to NBPOL that any development achieves an optimal balance between community development, conservation of natural values, and economic benefit and viability. By excluding from conversion the areas that store large amounts of carbon, we will significantly reduce greenhouse gas emissions and protect these vital lands.